Terrace fields nearly An-Nabi Shu' ayb. 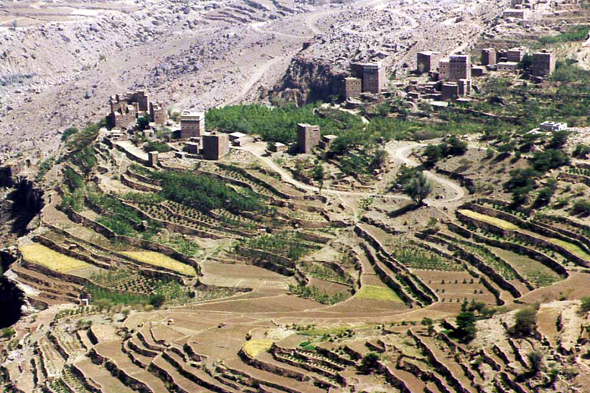 Yemen knows the majority of the ecological problems which the other arid countries of the region encounter. The secular tradition of the pasture and the breeding led to a quasi total deforestation of the country, which causes in its turn an erosion and violent floods.